Turron, (almond nougat) Spread 300g. Turrón, an almond nougat traditionally made with Marcona almonds is of Moorish origin. It was invented over 500 years ago in a small town of Spain called Jijona. 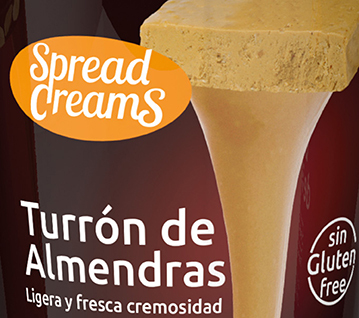 Spread Creams Turrón de Almendras is a soft spreadable version of this famous turron with many versatile applications, or simply on it's own.